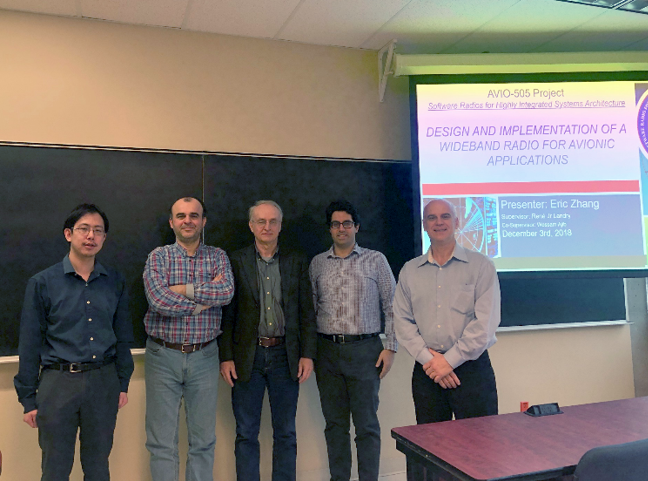 Being part of the NSERC CRD AVIO-601 project pursued under the leadership of LASSENA, the goals of his research have been the investigation and development of advanced RFI detection, RFI excision, and spectrum sensing algorithms. In line with these goals, Tilahun has disseminated top-tier journal and conference papers since 2015. Moreover, his research has inspired multi-faceted investigations from both specialist and generalist points of view. The LASSENA team expresses its heartfelt congratulations to Tilahun for his great early stage research career achievements and wishes him a great career! As a part of the NSERC CRD VTADS project at LASSENA, the goal of his research is to develop a robust and reliable integration system with low-cost sensors. The results show that a new method of integration of GPS / INS by being loosely coupled with Snap-To-Road (EKF-STR) has been developed. Snap-to-Road is a Map Matching technique developed by Google. The proposed method is to use the more powerful aspects of both techniques, namely EKF and STR, to provide better performance and greater accuracy, especially for low-cost systems. The work is mainly focused on situations where the systems are subject to a higher level of divergence. The use of STR is to improve navigation, especially in case of loss of the GPS signal. The obtained results demonstrated the robustness and the effectiveness of the positioning when the GPS signal is weak or unavailable, showing 90% of the errors are less than 2 m.
The LASSENA’s team expresses its heartfelt congratulations to Mohamed for his many great achievements and wishes him a great career! As a part of the NSERC CRD AVIO-505 project at LASSENA, the goal of his research is to evaluate the viability and the capabilities of software defined radio (SDR) technology as a solution for future avionic radios by designing a prototype integrating five avionic systems (two instances of DME, ADS-B IN, SADS-B Out and WBR). This prototype was tested in laboratory using certified test equipment as well as in real flight conditions. The results shows that a SDR based avionic radio can achieve the desired performance as long as some technical challenges are addressed. The LASSENA’s team expresses its heartfelt congratulations to Abdu for his many great achievements and wishes him a great career! As a part of the NSERC CRD AVIO-505 project at LASSENA, the goal of his research is to design and implement a Wideband Radio (WBR) that has the ability to establish a robust Air-Ground (A/G), Air-Air (A/A) or Air-Satellite (A/S) communication link using an Adaptive Coding and Modulation (ACM) scheme. The WBR system is proposed as a solution to meet the increasing demand for wireless data in aeronautical communications. 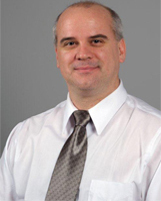 In addition, his research focuses on evaluating the feasibility and the performance of the WBR. The whole design of the radio is done with GNU Radio, an open source software widely used in digital signal processing in software defined radios and the system is implemented on Nutaq’s ZeptoSDR™ and PicoSDR™ platforms. Ground tests and flight tests were performed to validate the WBR functionalities and to evaluate the performance of the ACM algorithm. The LASSENA’s team expresses its heartfelt congratulations to Eric for his many great achievements and wishes him a great career! 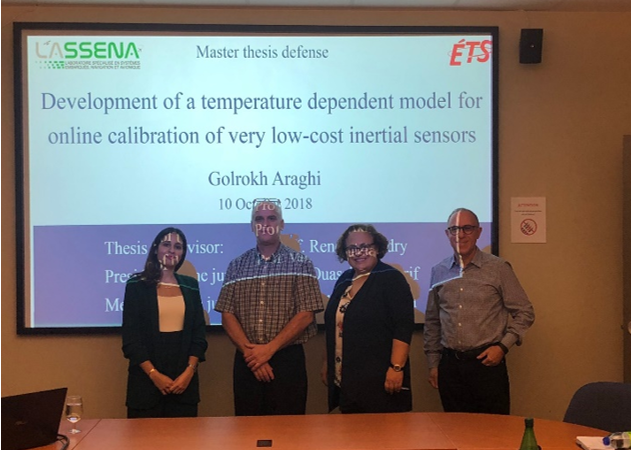 As a part of the NSERC CRD VTADS project at LASSENA, her work focus on development of temperature dependent model, as well as deterministic error calibration of extremely low cost MEMS inertial sensor. The calibrated IMU is used in an integrated INS/GNSS system, and it should be able to bridge the GNSS outages and work in all temperatures, for land vehicle navigation applications. She has proposed a temperature compensation model based on radial basis function neural networks that showed promising performance relative to the classical temperature compensation methods based on polynomial regression methods. The LASSENA’s team expresses its heartfelt congratulations to Golrokh for her many great achievements and wishes her a great career! 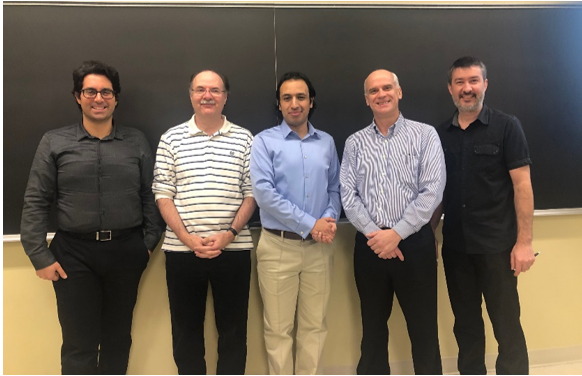 Congratulations to Dr. Maherizo Andrianarison who successfully completed his PhD defense on October 2, 2018. The title of his thesis is “New Methods and Architectures for High Sensitivity Hybrid GNSS Receivers in Challenging Environments”. His PhD work involves the processing of weak GNSS signals by proposing new methods and architectures of high sensitivity receivers. He also proposed cooperative positioning techniques between multiple GNSS receivers in deep urban environments. The LASSENA’s team expresses its heartfelt congratulations to Maherizo for his many great achievements and wishes him a great career! Congratulations to the AVIO-505 team! 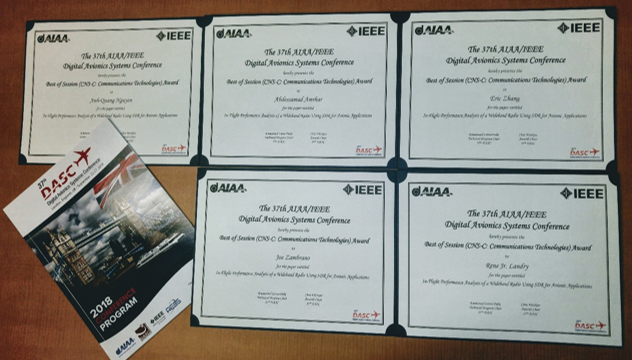 The paper “In-Flight Performance Analysis of a Wideband Radio Using SDR for Avionic Applications” won the Best of Session (CNS-C: Communications Technologies) Award at 37th AIAA/IEEE Digital Avionics Systems Conference (DASC). The authors of the paper are Anh-Quang Nguyen, Abdessamad Amrhar, Eric Zhang, Joe Zambrano, René Jr. Landry. This is the 6th “Best Paper” Award for the AVIO-505 project obtained at various international conference. For a total of 9 prices, the project shows the great achievements by the team in the research field of avionic (Communication, Navigation and Surveillance). The 37th AIAA/IEEE Digital Avionics Systems Conference (DASC) is the preeminent R&D Conference in the field of digital avionics offered by the two most distinguished professional societies, the American Institute of Aeronautics and Astronautics (AIAA) and the Institute of Electrical and Electronics Engineers (IEEE). In September 23-27, the conference has been successfully held in London, UK. For more information about the conference, please refer: http://2018.dasconline.org/pages/home. More info on AVIO-505 here. As a part of the CRIAQ AVIO-505 project at LASSENA, his work focuses on studying the feasibility and capability of the DRFS architecture for the future aviation, with the avionics in VHF band as the preliminary Signal-of-Interest (SOI). These SOI include, but are not limited to, VHF Omnidirectional Range (VOR), Instrument Landing System (ILS), VHF AM Communication (VHF Radio), Aircraft Communication Addressing and Reporting System (ACARS), Emergency Location Transmitter (ELT) 121.5 and 406.025 MHz. The DRFS avionics in this study is implemented by combining the Software Defined Radio (SDR) with a Field Programmable Gate Array (FPGA) SDR platform. The validation of these studied and integrated Software Defined Avionics Modules (SDAM) was done in lab test with certified equipment, ground test with real aircraft components, and most importantly, flight test. The results of these experimentation, on the one hand, show that DRFS avionics can have the performance comparable to the standards of the targeted avionics. On the other hand, it also confirm the key role and potential of the innovative DRFS avionic architecture for future aviation industry. The LASSENA’s team expresses its heartfelt congratulations to Quang for his many great achievements and wishes him a great career! The AVIO-505 Project aimed to establish new design methods and digital signal processing techniques for robust and efficient universal Communication, Navigation and Surveillance (CNS) equipment in aviation and aerospace, in general. The Multiple Inputs/Multiple Outputs Software Defined Radio (MIMO-SDR), one of the most important achievements of the project, enables the capability to redeploy functionality based on the current phase of a flight while minimizing connectors, antennas, cables length, EMI (electromagnetic interference) and overall system footprint. This new architecture and concept will open new horizons for new applications, not only for current international civil and military aircrafts, but also future UAVs and new satellites with novel applications. In the Phase II of the project, the LASSENA will continue on this promising research and propel SDR avionics to certification, flight testing and commercialization. Great thanks to ALL our partners, collaborators, and all the +60 HQP trained students for their active participation in this project! 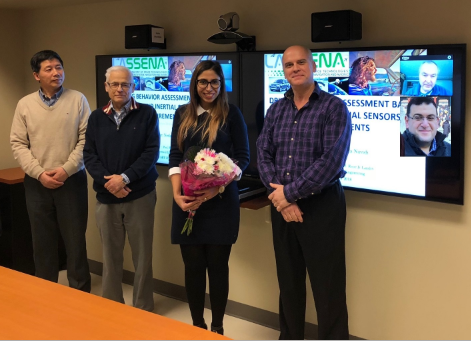 Congratulations to Dr. Neda Navidi who successfully completed her PhD defense on January 19, 2018. Her thesis "Driving Behavior Assessment Based on GPS and Inertial Sensors Measurements" will be available on the LASSENA website in the coming weeks. The LASSENA team congrats Neda for her great achievements and wish her all the best in the next phase of her career. His thesis title is "Détermination de l’angle de lacet et tangage à partir d’un récepteur GPS simple fréquence et comparaison des performances à des récepteurs de qualité public et géodésique". The primary objective of his research is to determine the yaw and pitch angles of a platform from two antennas and a single frequency GPS receiver.The secondry objectives include: Solve the ambiguity of the phase of the carrier;Convert ambiguity solutions to attitudinal solutions;Compare the performance of the attitude solution obtained from the RxGNSS to the performances of the NovAtel and uBlox receivers,etc. High performance algorithm when used with a 5 meter baseline. The whole LASSENA team wishes Dave a good continuation ! Congratulation to AVIO-505 team! 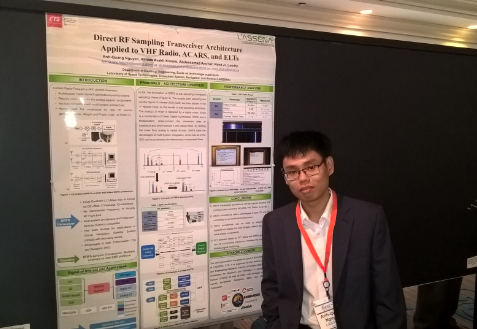 The paper "Direct RF Sampling Transceiver Architecture Applied to VHF Radio, ACARS, and ELTs" won the Best of Session (IMA-4) Award at DASC’17. This paper also got to the semi-finalist of Student Research Competition at this conference, and therefore AVIO-505 have the chance to present a poster during the Poster Session at this conference. The authors of the paper are Anh-Quang Nguyen, Alireza Avakh Kisomi, Abdessamad Amrhar, René Jr. Landry. Mme. 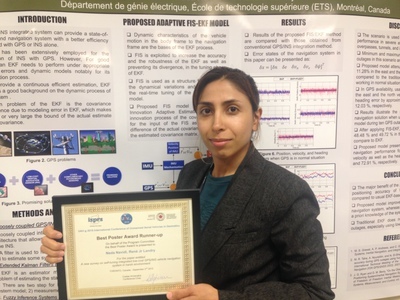 Neda Navidi is a PhD student under the supervision of Prof. Rene Jr Landry, and the paper rewarded is "Location Detection of Vehicular Accident Using Global Navigation Satellite Systems/Inertial Measurement Units Navigator". The main goal of this paper is to detect the location of a car accident by combining different methods. The methods, which are considered in this paper, are Global Navigation Satellite Systems/Inertial Measurement Units (GNSS/IMU)-based navigation and vehicle accident detection algorithms. They are expressed by a set of raw measurements, which are obtained from a designed integrator black box using GNSS and inertial sensors. Another concern of this paper is the definition of accident detection algorithm based on its jerk to identify the position of that accident. In fact, the results convinced us that, even in GNSS blockage areas, the position of the accident could be detected by GNSS/INS integration with 50% improvement compared to GNSS stand alone. The ICCSTE 2017(19th International Conference on Control Systems and Transportation Engineering ) is the premier interdisciplinary platform for the presentation of new advances and research results in the fields of Control Systems and Transportation Engineering. The conference will bring together leading academic scientists, researchers and scholars in the domain of interest from around the world. 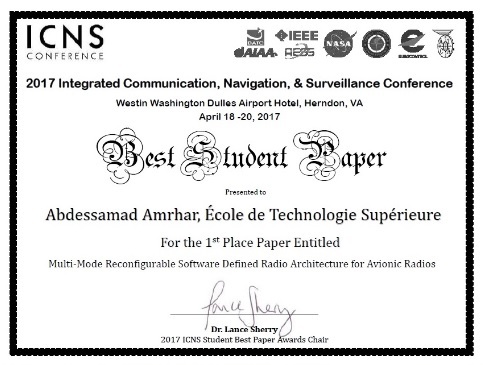 Congratulations to Mr. Abdessamad Amrhar who was presented the Best Student Paper Award in ICNS 2017( Herdon, VA,USA, April 18-20, 2017). We also congratulate the other authors of the paper: Alireza Avakh Kisomi, Eric Zhang, Joe Zambrano, Claude Thibeault, René Jr. Landry. 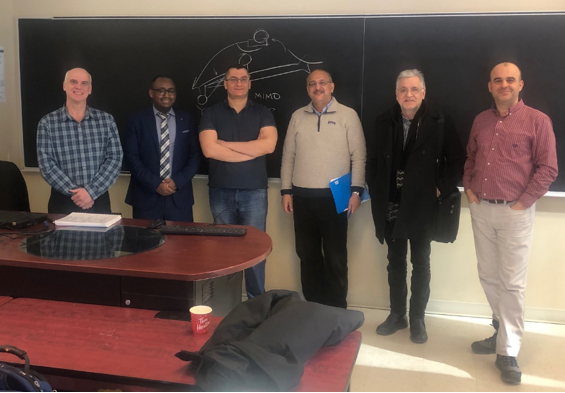 Mr. Abdessamad Amrhar is a Master student under the supervision of Prof. Rene Jr Landry, and the paper rewarded is "Multi-Mode Reconfigurable Software Defined Radio Architecture for Avionic Radios". The aim of this paper is to present a multi-mode reconfigurable SDR architecture for the application of avionic radios, using low-cost COTS hardware and open source software, developed within the AVIO-505 project at LASSENA, ÉTS. The Integrated Communications Navigation and Surveillance (ICNS) Conference is focused on providing an understanding of domestic and international CNS/ATM programs, implementation strategies, standards development, research, and ICNS technologies. From 2001 to 2006, the conference was hosted by the Space Communications Program at NASA Glenn Research Center.2007 marked the first year under the new sponsorship of the Institute of Electrical and Electronics Engineers (IEEE) and the American Institute of Aeronautics and Astronautics (AIAA). 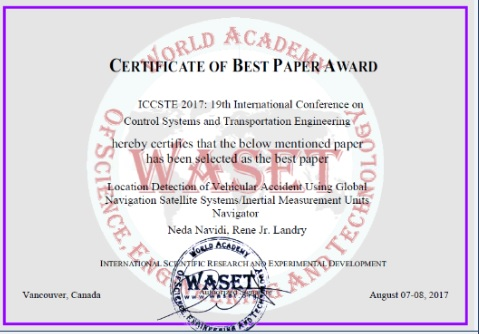 Mrs.Neda Navidi, a PH.D Student in ETS and overseen by professor Landry, was rewarded for his paper entitled "A new survey on self-tuning integrated low-cost GPS/INS vehicle navigation system in harsh environment". The aim of UAV-g 2015 (International Conference on Unmanned Aerial Vehicles in Geomatics) is to bring together researchers, developers, service and systems providers. This conference allows to create synergies between research and applications using UAV in geomatic. IbNav uses low cost inertial sensors combined with inertial algorithms to perform motion capture and navigation inside buildings. The aim is to provide a system with low production costs with the advantage that it can be deployed in any environment without requiring the use of external sources. It also offers an application with many features for students and researchers. The work entitled "Integrated Direct RF Sampling Front-end for VHF Avionics Systems" has been recognized as the Best Future Communications Paper at the 2015 Integrated Communication, Navigation, & Surveillance Conference held at Herndon (USA) on April 21-23, 2015. 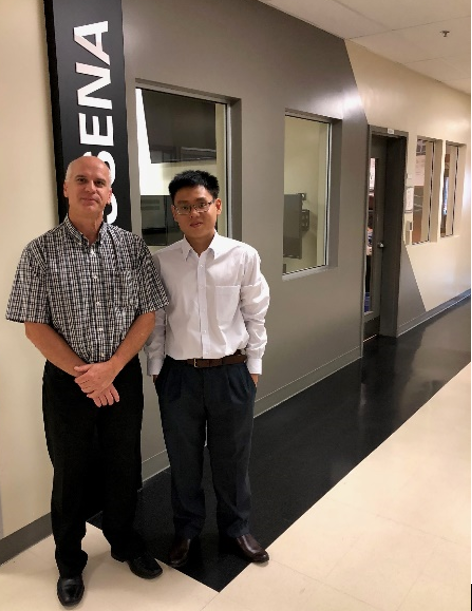 This publication, which has been generated as a result of AVIO-505 research program, is co-authored by Institutional Researcher Omar Yeste and Prof. René Landry. Congratulations to all for their outstanding work. 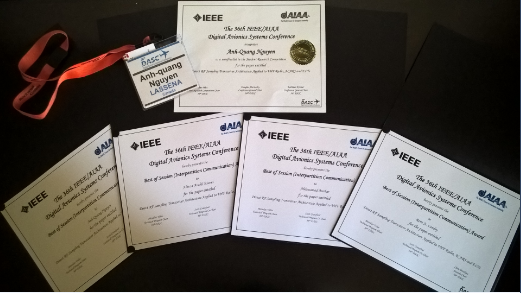 The work entitled "DME/DME Navigation using a Single Low-Cost SDR and Sequential Operation" has been recognized as the Best Paper of the Session at the 33rd Digital Avionics System Conference held at Colorado Springs (USA) on October 5-9, 2014. This publication, which has been generated as a result of AVIO-505 research program, is co-authored by Master’s student Taher Jalloul, Prof. René Landry. 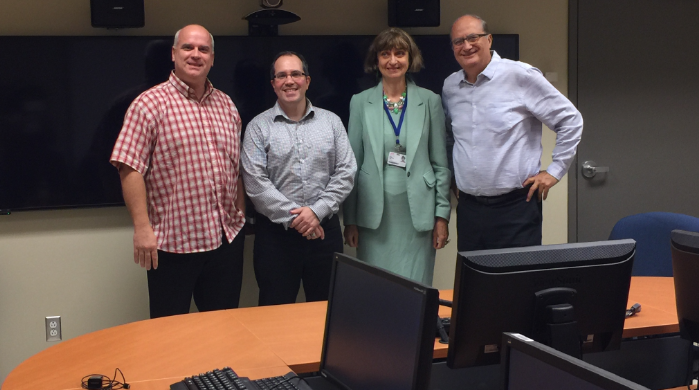 Institutional Researcher Omar Yeste, UQAM Professor Wessam Ajib, and ÉTS Professor Claude Thibeault. Recently, Professor René Jr. Landry from the Department of Electrical Engineering of ÉTS has obtained a Collaborative Research and Development grant (CRD) from NSERC and co-funded by CRIAQ with a budget over $1.8M. The four-year research project will be conducted in collaboration with four industrial partners (MDA, Nutaq, ATEM and Telesat). The project is entitled "Interference Mitigation in Satellite Communications" and will focus on finding practical solutions to the growing problems of radiofrequency interferences to geostationary satellites. The impact of the research can be applied to future generations of satellites and ground receivers related to space technologies in both civilian and military applications. Congratulations to Professor Landry and his team. Congratulations to Mr. Stéphane Ehouman who has obtained the second prize at ReSMiQ Innovation Day competition celebrated on September 18, 2014. Stéphane presented his PFE : "Development of a VOR Receiver Using a USRP Software Defined Radio", carried out at LASSENA under the supervision of Professor Landry. Congratulations to Mr. Mohammad Honarparvar who passed the Ph.D. oral examination part of his DGA-1033. Mohammad’s thesis is entitled : "Design of a Reconfigurable RF ADC For Flexible Direct RF Sampling Avionic Receivers". Mohammad’ is supervised by Professor Landry and co-supervised by Professor Sawan from École Polytechnique de Montréal and Professor Nabki from UQAM. June 18th 2014 : Steve Ulrich, from Carlton University, will expose you Advanced GN&C Systems for Autonomous Spacecraft Robotics Operations. June 20th 2014 : Charladean (Deana) Smith, from Canadian Spatial Agency, will give you a Robotic Refueling Mission (RRM) Overview. June 23rd 2014 : Guy de Carufel, Odyssey Space Research company, will present you Flight Path and Design Considerations for an Orbital Rendezvous. June 26th 2014 : Richard Rembala, from MDA Corporation, will come to present you Robotic Capture of Unprepared Spacecraft. For more informations, please consult documents below. To provide a solution robust and accurate navigation , GPS receivers must operate in optimal conditions , that is to say have a direct line of sight with at least four satellites, which is hard to find in an urban environment where GPS signals may be contaminated with significant multipath errors . Coupling GPS data with those from an inertial navigation system (INS) can significantly reduce these errors, however, this technique is generally valid for high-end systems. Indeed, for systems with low cost inertial sensors used generally have significant measurement errors causing a rapid divergence of the navigation solution . There is a real need for the development of new technologies that enable self calibration of inertial sensors at low cost. The objective of this project is to improve the performance of integrated navigation systems INS / GPS low cost based on the use of inertial MEMS sensors to enable an accurate and robust positioning in urban environment . Read the detailed site SUBSTANCE article. SUBSTANCE blog is a graduate of the École de technologie supérieure interactive allowing members of the community of graduate students , professors and researchers from ETS to submit articles on their academic activities . Montreal, Quebec, Monday, April 8, 2013 – Marinvent announces today the successful completion of its Airfoil Performance Monitor (APM)-Engage project. The project, recently completed in collaboration with École de technologie supérieure (ETS), has been a huge success and has demonstrated the intrinsic value of strong partnerships between Small & Medium Enterprises (SMEs) like Marinvent and research institutions like ETS. The result of the project is the successful development of a rapid prototyping process for Marinvent’s APM through the use of wireless APM mast technology. The Marinvent-ETS team has been able to develop, deploy and successfully demonstrate wireless data transmission from a small, battery powered, APM mast assembly deployed on the wing of Marinvent’s Piaggio Avanti aircraft to a cockpit-based receiver located in the aircraft cockpit. "This is a major accomplishment as it now enables, for the first time, the deployment of our APM system for testing and evaluation purposes on aircraft without the costly and time-consuming need to drill holes," said Phil Cole, VP Business Development at Marinvent Corporation. "We are very pleased with the way the ETS team worked with us on this project and the results we were jointly able to achieve in a relatively short time period. 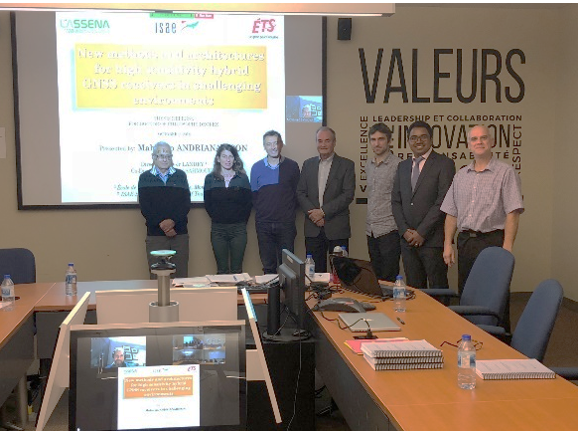 We have already identified areas of continued collaboration with ETS on this research, and foresee continued close cooperation on APM, training and other projects in the near future." 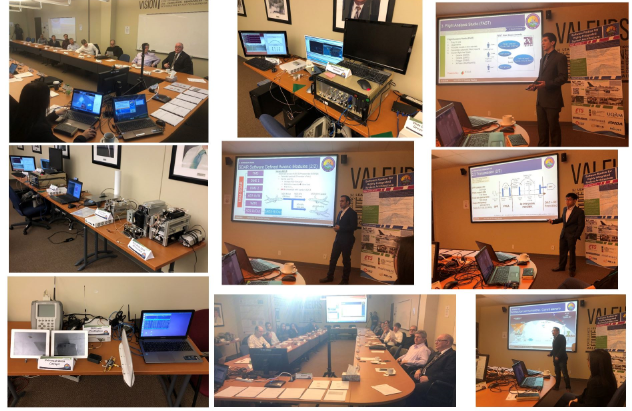 "Within a 6 months project, the team was able to develop proper software and to embed in the Marinvent APM a tiny full duplex radio, 2 analog to digital converters with low power supply electronic. The resulting embedded APM could now work autonomously and could contain 2 pressure sensors (back and front sides) with all combined previous electronic, simplifying considerably testing and certification procedures. ", said René Jr. Landry, teacher at ETS and Director of LASSENA (Laboratory of Specialized Embedded System, Navigation and Avionic). This event allowed graduate students to present their research to the entire university community through posters but also demonstrations and discussions exposure. LASSENA students participated for the first time at this event and the booth was beautiful laboratory scale. Congratulations to both students LASSENA who were able to go to the final eight of the 27 research posters presented. Both students are Maherizo Andrianarison with his Post on inland navigation with GNSS and Adrien Mixed with his Post on body and inland waterway (iBNav). Congratulations to Philippe Lavoie who made his viva (master’s degree) successfully. The works of mister Lavoie’s master’s degree, subject the title of which is entitled " System of navigation crosses low-cost GPS / INS for the strong navigation in urban environment " overseen by professor Landry, prevailed him the recognition of the "Excellence "distinctionunanimously by the members of the jury (Prof. David Bensoussan and mister Arnaud Chanu). The project aims at establishing new methods and techniques of processing of the digital signals for universal effective and strong plans of navigation and communication in the aeronautical and aerospace domains. New standards in avionics are in study and several arguments are in favour of the adoption of the software radio. This project aims at the integration of multiple systems of navigation and communication in a unique equipment minimizing the busy space, at the weight of the avionics, the number of rooms(parts,plays) and incorporating new more effective management systems of the air space ( ADS-B), the everything guarantor directly in the international programs of reduction of greenhouse gases ( GES). The aeronautical / aerospace industry asks for a new approach by using a single generic system, reprogrammable and universal replacing the multiple radios and the present antennas on a plane. The new system will allow a simultaneity of functioning of several systems on a platform of flexible development and intended for the future applications. The project will handle with the integration of the systems DME, transponder Mode S and of a radio wide band, inside software architecture getting closer to the antenna. This architecture will allow the redeployment at request of features according to the phase of the flight, and the minimization of the electromagnetic interferences, the length of cables, and number of connectors and antennas. The idea being to convert the signals RF to the antenna and to transmit them in basic band towards the generic radio for the digital processing. The prototype will be estimated in laboratory by simulations and during flight using a specialized bench test supplying conditions of operation real and allowing to validate the performance of protocols with the real infrastructures systems and aeronautics. The project will contribute to the international community by defining new avionic standards, will pursue the efforts of Canada in the reduction of the GES and will create new high-technology uses. The developed technologies can apply to infrastructures grounds or airborne. The collaboration AÉROÉTS - Marinvent Corporation is a unique initiative establishing a consortium offering services of university and industrial training specialized for disciplines of certification, flight tests, and integration of the embarked systems in aeronautics. It also supports the research and development in a high-level academic context. This initiative is directly connected with the efforts of AÉROÉTS Montreal to arrange and emphasize the numerous resources of our industry from Quebec. AÉROÉTS and Marivent Corporation encourage actively the research and development of the innovation in the field of the aviation by supporting the realization of various research projects with industrial incidence. * Aerodynamic Performance Monitor ( APM) is a system to supply to the crew certain critical information on the margin of portance real of the plane. * The universal Glass Cockpit ( UGC) is a project of research and development aiming at the realization of a software cockpit of aviation embarked, based on mobile platforms with touch-sensitive screens. * The entitled CRIAQ AVIO-505 project SDR-HISA is project of research and development on the new architectures of software radio highly integrated. This concentration arises from an insistent request of the industry for all the universities in the effect to train better the engineers in the field of the embarked systems, the absolutely strategic specialization for the aerospace industry. Planes became immense networks of complex systems which have to communicate between them and be joined in a security way. These systems are mainly electric, electronic and computing and are designed to operate often critical features. The embarked systems now control everything on a plane, including the mechanical systems, and that is why the industry considers the engineer of systems as a key resource for its development. Such engineers were identified as the future of the profession in aerospace engineering during forums industry / universities. It is planned that the hiring in this domain will be very important during the next years. This new concentration allows the Department of electric engineering to occupy a strategic space of training in the service of an industry where Quebec is recognized as a leader. So, the ÉTS is now capable of offering an attractive and very promising training to the young people who are interested in a career in avionics. Congratulations to mister Kaveh Mollaiyan who took successfully his examination written by PhD. Mister . Mollaiyan’s thesis is entitled: " Weak-Signal Acquisition and Tracking Technologies for High-Sensitivity GNSS Receivers in Indoor Environments ". Mister . Mollaiyan is co-overseen by professors Landry and Santerre of the University Laval. Mister Ramdane Ait-Aoudia pursues his works in the GRN of the LACIME within the framework of a training course S3 of a project in association with the iMetrik company. Mister Ramdane’s works consists in implementing a solution of assistance to a GPS receiver of high sensibility. Mister Guillaume Lamontagne passed successfully his oral defense within the framework of his master’s degree in electric engineering. 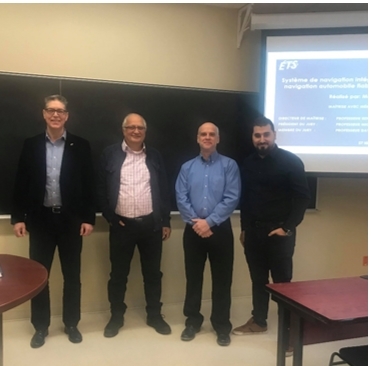 Under the supervision of professors Landry and Kouki, the report of mister Lamontagne’s master’s degree is entitled: "conception and implementation of a head of reception with direct sampling RF for the signals of radio navigation by satellites. ". Congratulations to mister Lamontage for this beautiful realization and the recommendation of the members of the jury at the prize of the administrative council of the ÉTS. 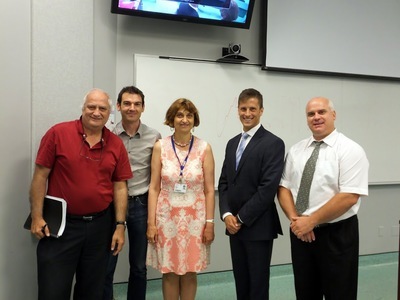 A group of professors of the Laboratory of communications and integration of the microelectronics ( LACIME) of the ÉTS collaborated in the conception of a new sub-system of insulation against the vibrations in microgravity ( MVIS) with the Canadian Space agency. The MVIS produces a magnetic field capable of maintaining in suspension a packaging of average size inside which diverse scientific experiments can be made. This device was aboard the shuttle Atlantis which took off last February and was settled in the international Space station The noise and the vibrations are important inside this station. The systems of ventilation, the mooring of space vehicles and the work of the astronauts sometimes make vibrate the orbital complex of research. These vibrations can damage scientific experiments dedicated to the study of the effects of the microgravity. The MVIS allows to avoid that the experiments undergo these harmful effects. When it will be settled in the station, the experiments led inside the new device, as those who concern the flow of the fluids, the growth of crystals and the development of metallic alloys, will not be any more submitted to the shocks and to the vibrations.To control electromagnets generating the magnetic field of the MVIS, it was necessary to be able to sample the signal of accelerometers very precisely. It is of what made a success the researchers of the LACIME by working out digital analog converters of extreme precision for the MIVS. The previous MVIS had a dynamic range of 100 decibels, while the new covers 140 decibels. Within the framework of this research, professors Jean Belzile, François Gagnon and Naïm K. Batani, of the Department of electric engineering, applied for the patent High-Precision Digital to Analog Converter. Professor Ammar B . Kouki, René Jr Landry and Claude Thibeault also participated in the research works. Title : "A new anti-jamming technique for GPS and Galileo receivers using adpated FADP filter", published in the Digital Signal Processing magazine. The LACIME laboratory has just purchased a simulator of GPS constellation of 16 channels(canals) of the company SPIRENT, models GSS 7700. The LACIME laboratory has just purchased two generators of GPS interference of the company SPIRENT, models GSS 4765. The Laboratory of Integration and Communication of the Microelectronics ( LACIME) of the department of electric engineering of the ÉTS has just acquired the technological equipments at more of $3.6M. These equipments will be of use to the developments of new technologies for the next 10 years.